Iiii. Impersonates any person or entity, including any http://meychain.weebly.com employees or representatives. 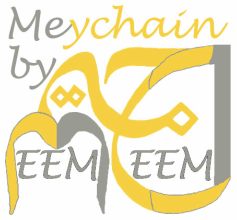 All content and materials available on http://meychain.weebly.com, including but not limited to text, graphics, website name, code, images and logos are the intellectual property of Meem Jeem, and are protected by applicable copyright and trademark law. Any inappropriate use, including but not limited to the reproduction, distribution, display or transmission of any content on this site is strictly prohibited, unless specifically authorized by Meem Jeem.